with the way she looked. After 20 weeks, and 14 kg lighter, she said “I just feel great”. Last year, 222 people entered the Em’s Power Cookies Cardiovascular category of the 20 Week Challenge™. Evan Taylor, the male winner, beat all previous records with his results. Helped by personal trainer Cate Grace, his resting heart rate dropped by a whopping 41 bpm and he increased his VO2 (heart-lung fitness) by a whopping 70%. At the start of the challenge the female winner, Tanya Harrington, was so worried about other people seeing her she exercised in the dark. Determined to be able to run 10 km at the end of the 20 weeks, she put on her high vis vest and set off walking around her block in the dark. She went from walking it in 45 minutes to running it in 25 minutes, in the daylight. 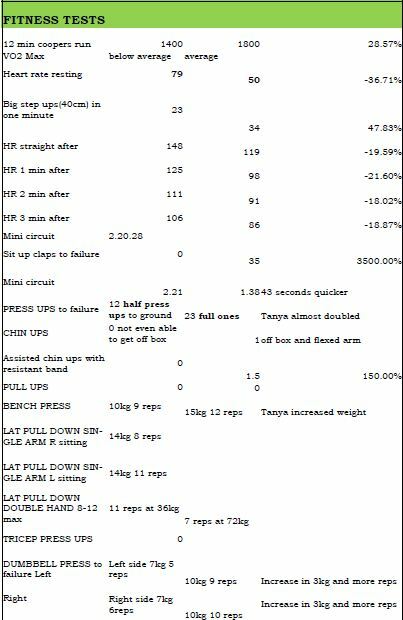 She also improved in every category of the fitness tests, as the table below shows. The most important change was in how Tanya felt about herself. At the start of her journey, she said she felt “disappointed, sad and unhappy” with the way she looked. After 20 weeks, and 14kg lighter, she said “I just feel great”. 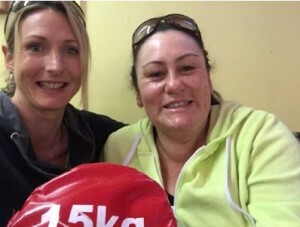 With the help of PT Michelle Anderson, Tanya ran her first 10 km and made plans to enter races across the country. Here’s what Tanya had to say about her 20 Week Challenge™ journey. 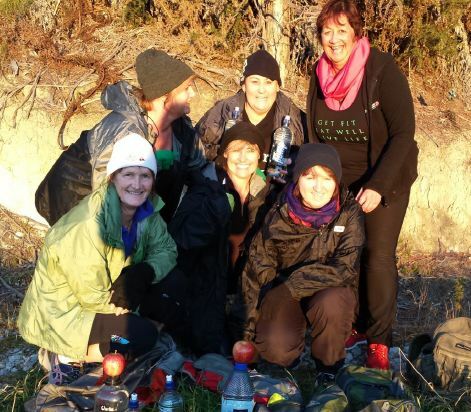 “My goals were to feel good, have more energy, show my daughter, partner and whanau that I’m a strong, healthy, fit, happy, positive, energetic, confident and sassy mumma. Somewhere in this size 20-22 body she was hiding and wanted to break out. “Every day I exercised. I didn’t ask for help with my daughter Chloe, I’ve always done everything myself so in the pram she went. From day one we walked in the dark, either early morning or evening, sometimes both and in the rain! My confidence was at a low and I didn’t want people to see me. My orange high vis was my best mate. “My highlight during the challenge was going from walking to running. First time running town block 26.35mins in the daylight!! Wow!! I always hated running, but I was enjoying putting in a jog with my walk, sometimes I felt like Forest Gump! Among other awesome prizes, Tanya won a pair of Altra Lone Peak shoes worth $250 from Elite Fitness.